Curves+ is the ultimate solution! Just as 42, it is the answer to life, the universe, and everything. This adjustment appears in the Adjustments menu. Amazing! Curves+ is exactly like the Curves adjustment that comes with Paint.NET. OK, not really. It is actually far more powerful. It's just cause of the extension (.dll). Some proxies block .dll, exe, and such. did i mentioned that i love you now? lol it's just a hug jeeez! wait, you mean i wasted all that perfectly good coffee? NOOOOO! Can I add this to my list of plugins for the plugin pack? It looks like it would come in handy. of course of course of course! 'twould be nice if you linked back here though y'know? also, i'm planning on adding a couple more curves to the plugin, so you might wanna wait for those! or just include the new ver in an update or something.... whatever floats your boat. ...and a little of the alpha mask. im glad that my little plugin is considered worthy to be in your plugin pack lol. 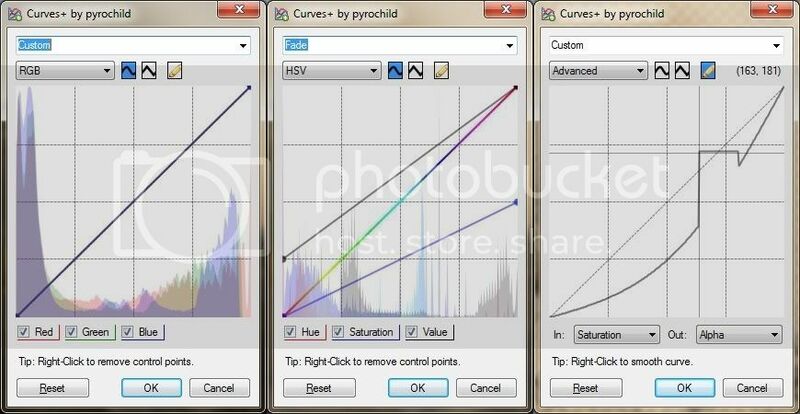 I know you can get the same thing on levels, but curves really needs this. Why isn't this sticky'd yet? I think it is because Tom is working his own version for release in PDN. So really my only hope of getting this one stickied is to somehow outdo Tom's version. The problem with that is I don't have a clue what all his has... Any ideas? @usedHONDA: That little picture, I don't really know what it is :oops: I'm pretty much a total newbie when it comes to photomanip and graphics software. More explanation would be nice, and I'll do my best to implement it once I know what "it" is. I believe it is called an image histogram. google + unsabotaged wikipedia pages = infinite knowledge! so i looked up this thingy and now i think i know exactly how to implement this addition, and will set about doing so as soon as i find myself motivated and without homework.